John Keats is one of the greatest poets of all time, and yet his lifespan was even shorter than that of the Brontë Sisters. He died 197 years ago this week, on 23rd February 1821, aged just 25. Keats did not achieve great success in his lifetime, although he was revered among his contemporaries like Byron and Shelley, but he quickly gained popular appeal after his death so although not mentioned explicitly in Charlotte’s letters, as many other Romantic poets were, it is likely that the Brontë sisters would have encountered his work throughout their youth and adulthood. 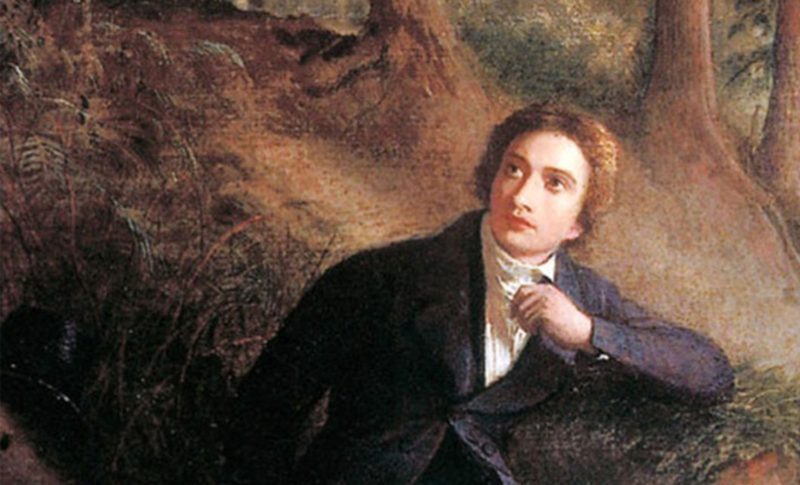 Keats then suspected that his words would live on and find an audience after his death, so that in that sense his soul would never really perish. He gained immense fame after his death, like his talents deserved, in the same way that we can celebrate the real Acton and Ellis Bell today, although they lived in obscurity. In a strange postscript to Keats’ tragic life, given his watery epitaph, his death inspired Percy Shelley to write his brilliant poem ‘Adonais’. 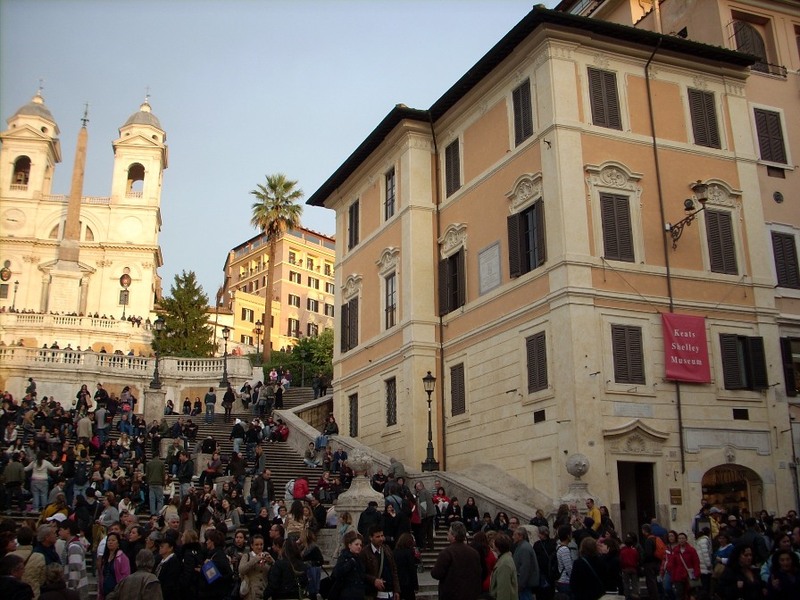 Shelley was also living in Italy then, and he invited Keats’ friend Leigh Hunt to join him there to discuss founding a magazine together. On 8th July 1822, sailing across the Gulf of Spezia after meeting Hunt, Shelley was caught in a storm and drowned. 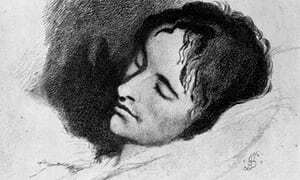 Shelley’s body was identified thanks to a book of Keats’ poetry that was found upon him when he was fished out of the water. Anne Brontë never had a chance to meet John Keats, of course, but they did meet someone with a close connection to him. During the ill fated trip to London with Charlotte Brontë in July 1848, Anne and her sister dined at the house of W.S. Williams, the reader who had first discerned the brilliance of Jane Eyre. One of Williams’ daughters was a talented singer and after the meal she regaled the guests with a few areas alongside one of her friends who was also there called Julia. Charlotte wrote of her that she was a ‘girl with sparkling black eyes and the fine soprano’. 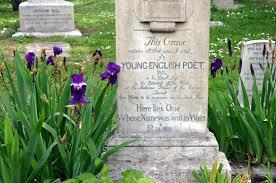 Julia was also the daughter of Keats’ celebrated friend Leigh Hunt. We can imagine Charlotte and Anne discussing her famous father, and his by then even more famous former compatriot. Previous Previous post: The Original Zenobia, And A Writer In The Family!